Please join us for Poplar Detox, an afternoon workshop at R-Urban Poplar, bringing together members of the Poplar community with policy making, sustainability and health experts to explore the broader theme of pollution and remediation. The afternoon is structured in two parts. A citizen science-focused session will explore tools for collective monitoring – and where possible, ways of finding remedies for Poplar’s air quality. 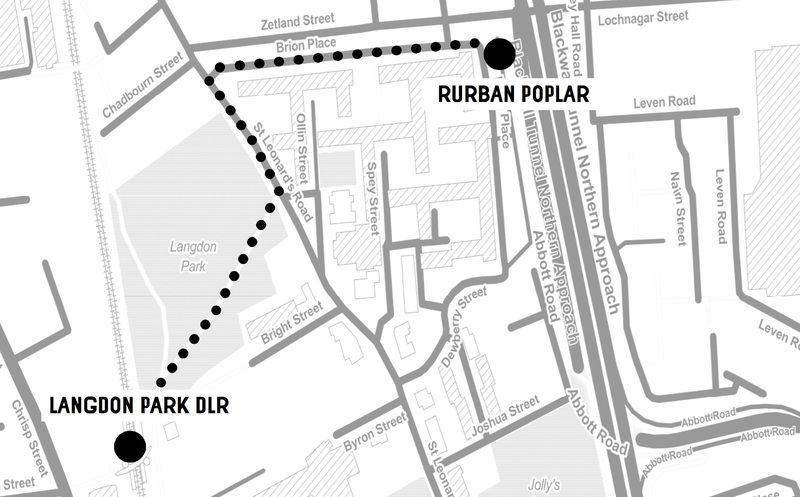 A walk through Poplar will introduce a series of ‘tools to measure pollution’ that form part of R-Urban’s ongoing environmental and civic engagement in the area. The late afternoon session will culminate with a conversation and a meal with members of the local community, with guests including Dee Searle (Camden Air Action), Rokiah Yaman (sustainability expert) and Megan Clinch (social anthropologist), Francisco Gallardo (artist). The Event is part of Test Sites: Assembly, a three year long action research project by Arts Catalyst into toxicity. The event will help to create a bridge between Poplar and King’s Cross - where Arts Catalyst is based - which represent two of the most most polluted areas of London. This workshop is free to attend, but you'll need to book a place here*. R-Urban is a bottom-up strategy that explores how we enhance our capacity for urban resilience by introducing a network of user-run facilities. R-Urban provides tools and resources to facilitate citizen involvement in this project and initiates locally closed ecological cycles that will support the emergence of alternative models of living, producing and consuming. R-urban is supported by the EU Life+ Programme of environmental governance. The project partners are AAA, Paris, the City of Colombes and public works, London. www.r-urban.net. R-Urban-Wick was initated in 2012 by public works (http://r-urban-wick.net ). The project consist of a diverse series of events, hands on workshops, talks and exhibitions hosted in many different sites and venues across the area and currently exists alongside the Mobile Garden City in Queen Elizabeth Olympic Park. R-urban Wick has been established as a community-led build project and houses innovative prototypes that test closed loop ecologies and economies such as a small scale waste to energy unit (Anaerobic Digester) along side the growing garden and closed loop kitchen, DIY Re-use/tool borrowing library, workshop space for local ‘makers’ and water collection with natural filtration. public works is a not-for-profit critical design practice set up in 2004 that occupies the terrain in-between architecture, art, performance and activism. Together with our interdisciplinary network, public works aims to re-work the city’s opportunities towards citizen driven development and nurturing their rights over the city. public works’ projects are interested in what constitutes civic in the city and how to re-design structures that restrict it. The work gives space to and facilitates civic practices which promote direct involvement and collective action in order to transform and re-appropriate contemporary public life. Through the creation of long sustained relationships that build commonality, trust and enable co-authorship, the method allows engagement, be it informal and intimate, or political and academic. Their outputs are not limited to buildings or art objects. Outputs include discursive events, research, campaigns, urban strategies, participatory art and architecture across all scales. Outputs are defined by what is most appropriate for the project and the urban context, ranging in scale from pamphlets to urban strategies. Its aesthetic and spatiality are determined by external collaborators involved, which makes every public works project aesthetically varied. *Please do let us know in advance if you've booked but become unable to attend as places are limited. Meet at Langdon Park DLR Station at 4pm (Park Side exit).